(or opposite) I immediately knew, this is what I want to do. 2 new israeli friends to go hiking with. and bless it with every single step. So I planned to come for 3 1/2 weeks in October 2009. 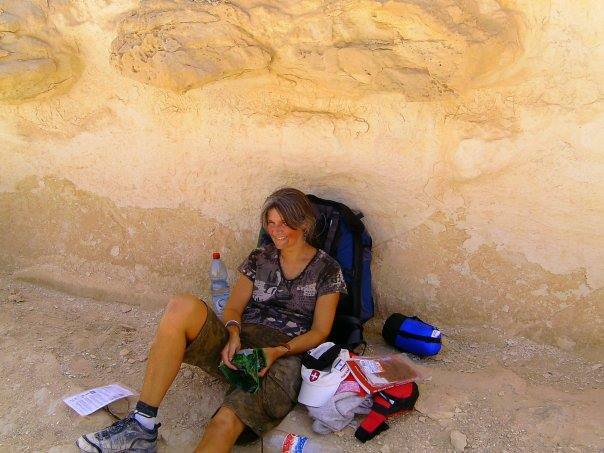 I wanted to start around the Ramon Crater and hike downwards to Eilat. impressive experience ever for me. I’ve seen landscapes of rare beauty. I’ve tasted the most peaceful silence you can imagine. of daddies and their sons, who rescued me). as you haven’t finished this outstanding, challenging, most interesting hike!